I’m starting out with a four book series. The MIT2 series focuses on a special ops team deployed in East Africa. My heroines are just as courageous as the tough men they fall for. Hopefully, all of my books will reflect a commitment to solid research and a dash of authentic realism that I try to carry over onto paper. A life packed with crazy adventures and nomadic life lessons have led to my writing career. Any feedback is always welcome and I hope you enjoy the journey! The MIT2 Series starts out with my first release in July/August 2018 called “Siren in the Wind,” and I’m editing the second draft of the second book “Stain on the Earth.” My life is insanely busy at the moment, filled with writing, getting myself situated as an author and working hard as a Corporate Trainer. I promise to pour my very essence into every book before tossing it your way. Look out for my first Newsletter, starting soon. Is she a siren luring him to destruction or his lighthouse in the storm? 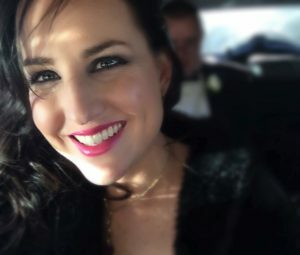 Abigail Evans spent a lifetime outrunning her stormy past. Her ordered existence keeps her hidden, knowing interference could ruin her plans for retribution. But nothing can stop the dark winds of the past, from sweeping through her future. Max’s skills are put to the test as a tier one operator, as he races across Southern Africa to save everything he cherishes most. 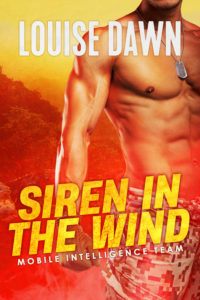 Fans of Adult Military Romantic Suspense will enjoy this action-packed romance, filled with steamy mystery and alpha heroes.